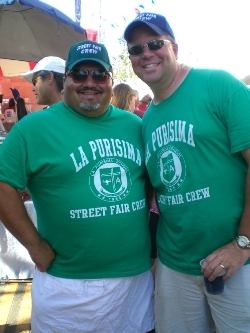 Each year, La Purisima Catholic School hosts a fundraising booth at the Orange International Street Fair. This yearly event, held over Labor Day weekend, brings thousands of visitors to the historic Old Towne Orange for food, drinks and entertainment. 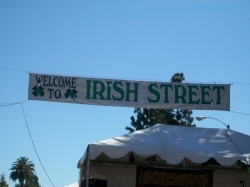 Our booth is located on Irish Street. 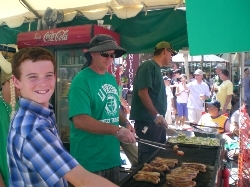 Every other year we trade booths with the Old Towne Preservation Society and have either Irish food or Irish Beer. This Fundraiser is a great community builder as well as a great financial assistance to our school.